With a long title, longer subtitle and two authors, there was a lot of text to fit onto a small book. I decided to use the typography to create a single piece of artwork, going for a vintage letterpress look, using a simple two colour palette and a de-boss to accentuate a the clean, elegant but festive look. a Christmas book. The cover was very successful in playing with many different display typefaces and yet has an overall balanced layout. 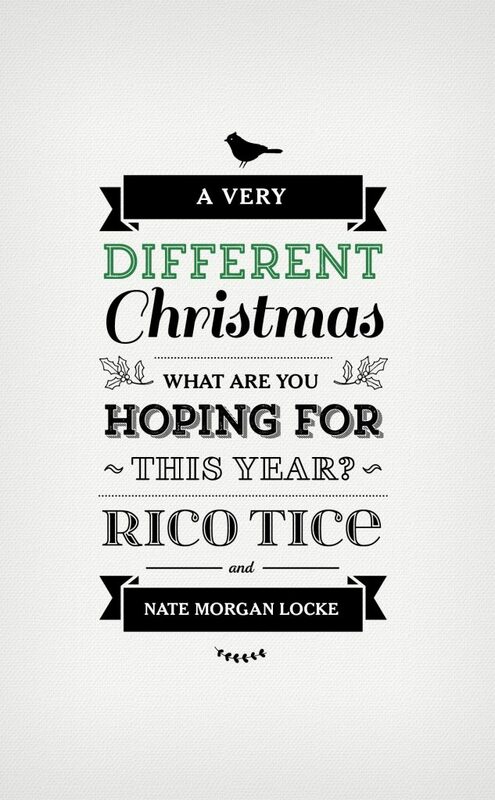 Using mostly black, it also avoided using the typical Christmas colors except with the word “Different”. While this looks easy and fun, it takes an accomplished designer to pull it off.